So what's the big deal about nature study anyway? This is one of those questions that is frequently asked by newcomers to Charlotte Mason's ideas. I asked it myself in the beginning. I think it's hard for many of us to wrap our minds around because it isn't the mindset with which we were raised, or the mindset of our modern educational culture which emphasizes the hard sciences, facts, and experiments at younger and younger ages. There's nothing wrong with those things in their correct place, of course. 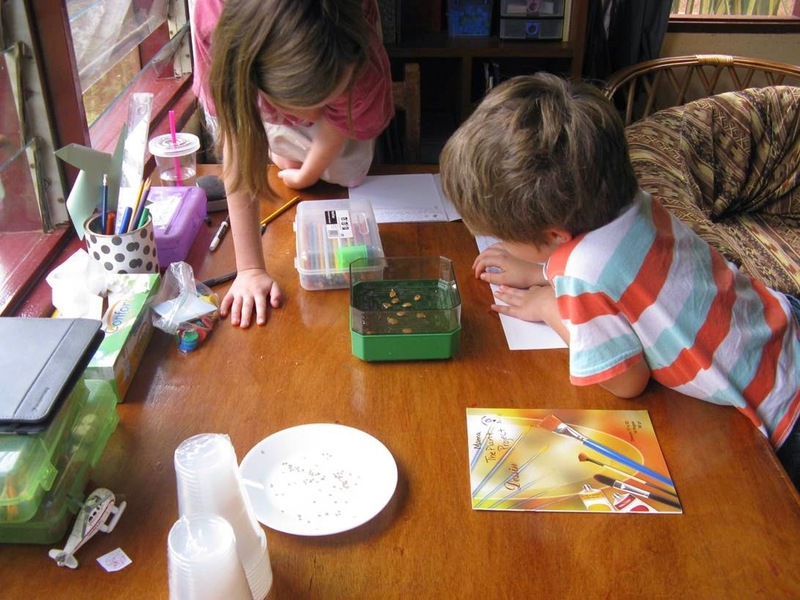 But given that that is what we are used to, it's hard to imagine how nature study can possibly be 'enough' science for younger students, and why older students should continue it alongside their more formal science studies. In nature, we learn to see beauty and order in God's world and to understand our place in it. For many years, we lived in the Aiyura Valley in the Highlands of Papua New Guinea. On a clear sunny day, the green hills and blue sky all around me were breathtakingly beautiful – so beautiful they almost didn't look real. Moments like that truly do make one realize the majesty and splendor of our Creator God. In nature, we are able to see the big picture, rather than only the little parts that scientific facts show us, and our hearts are inclined to gratitude. 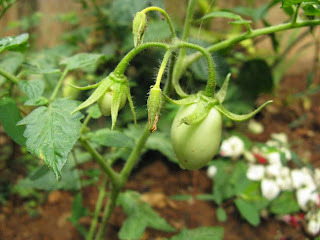 "The tomato plants have grown bigger since the last time we did this. They measure 8 inches or 20 cm tall! Notice that near the ground the stems are purplish. I still hope we get good tomatoes from these plants. God is great. He made all things! Even tomato plants!" Nature study is true scientific training. Nature study involves patient and careful observation. It involves making connections with other knowledge, and carefully recording what we find. These skills are valuable for later science study and for life, and cannot be learned by memorizing facts from a science textbook. Nature study gives us a sense of personal discovery. In her comments on this topic, Charlotte mentions that there is probably nothing that a child will discover through nature study that hasn't already been written about somewhere. It's not like we are making new discoveries. We have been attempting to grow tomatoes over the past few months in an effort to learn about plants – what they need, how they grow. We certainly could have covered this topic more efficiently by reading about plant growth, drawing some diagrams, maybe sprouting a bean seed. 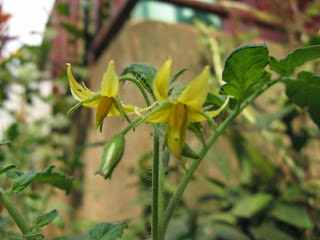 But that can't possibly replace that morning when we first went out and found our first blossom…or the morning a week or two later when the first tiny green tomato appeared. Those are our tomatoes. We scraped the seeds from a market tomato and have observed for ourselves each stage of growth. The needs and life cycle of a plant are our own personal discovery. I encourage you to go read the whole chapter – I found it marvelously inspiring. You can find it here on the Ambleside Online website. What gifts has nature study given to your family?